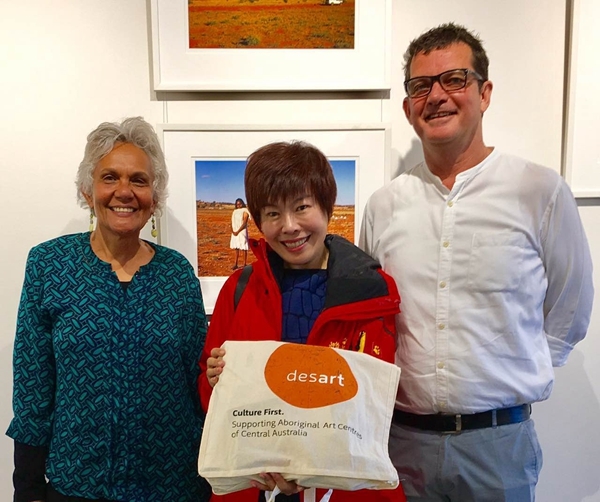 Professor Yu Dan, Beijing Normal University, spent two weeks in Australia as a Visiting Professor at the Australia-China Institute for Arts and Culture, during which she visited Uluru and Alice Springs for talks with Aboriginal elders. One of her current research topics is people's relationship to nature and the environment. She believes that the rapid urbanisation of China has damaged people's spiritual connection with the land. She was keen to learn how Aboriginal people, whose culture is so closely connected with country, work to preserve their dreaming and pass it on to younger generations. At Uluru she spent time with local elders from Maruku Arts Centre, who took her to visit sacred places near the Rock. In Alice Springs, Philip Watkins of Desart, explained the significance of desert artists' paintings and tjanpi weaving in teaching ancestral law and stories of the land. 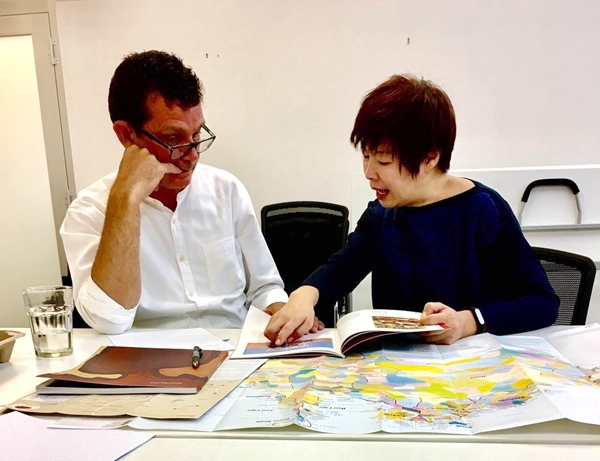 Her guide throughout was Catherine Croll, Director of Cultural Partnerships Australia, who has escorted many Chinese artists and curators on trips to the outback. At the conclusion of her visit, Yu Dan told ACIAC staff that she had found the visit most inspiring and would use her knowledge in her future talks and writing. She said she was also impressed by work being done at Western Sydney University and intended to develop exchange programs with Beijing Normal University.